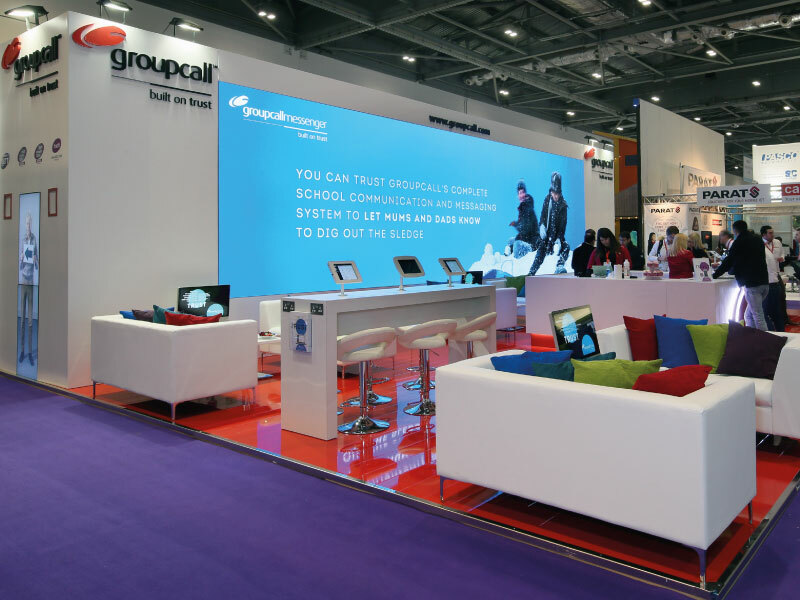 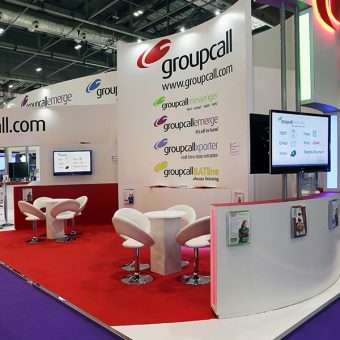 Having been Groupcall’s event partner for BETT in 2014/2015 it was only natural that they came directly to us for the next year’s show. 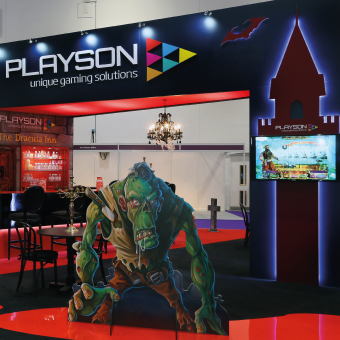 2016 saw a change in hall location and a change in the stand size & shape, but most importantly this year a big statement piece was required to draw attention to their products and to create a talking point about the company. 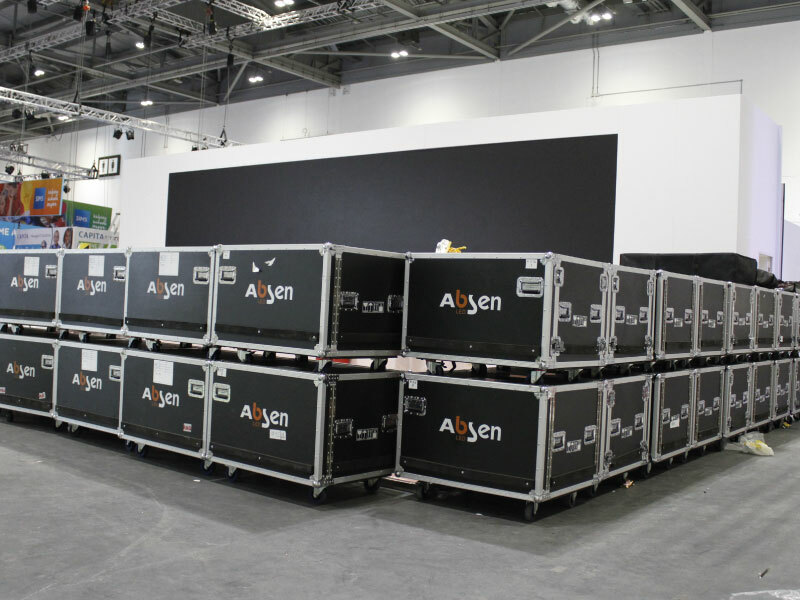 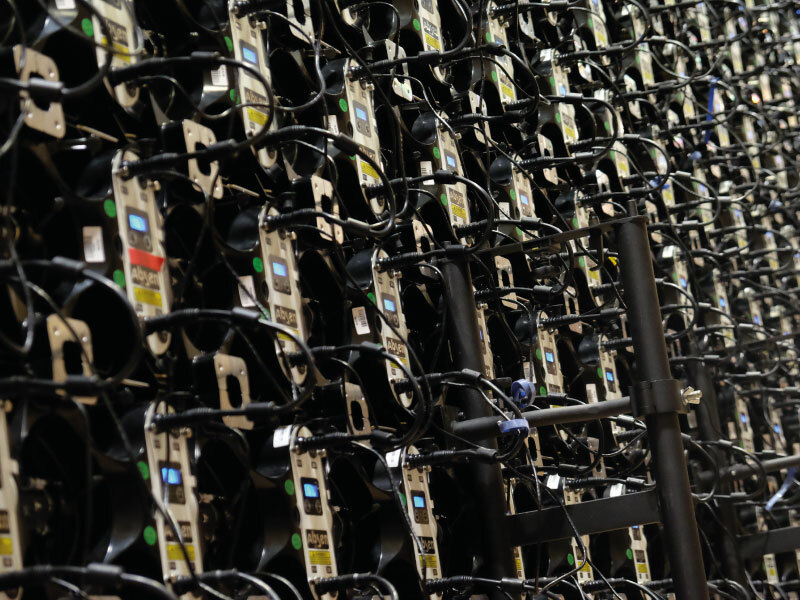 The statement arrived in the form of a huge LED video wall constructed from Absen 2.5mm LED tiles – this 10x3m wall was the largest ever to be constructed in the EU from this brand new technology and the clarity was so incredible that lots of people did not believe it was actually constructed from LED! 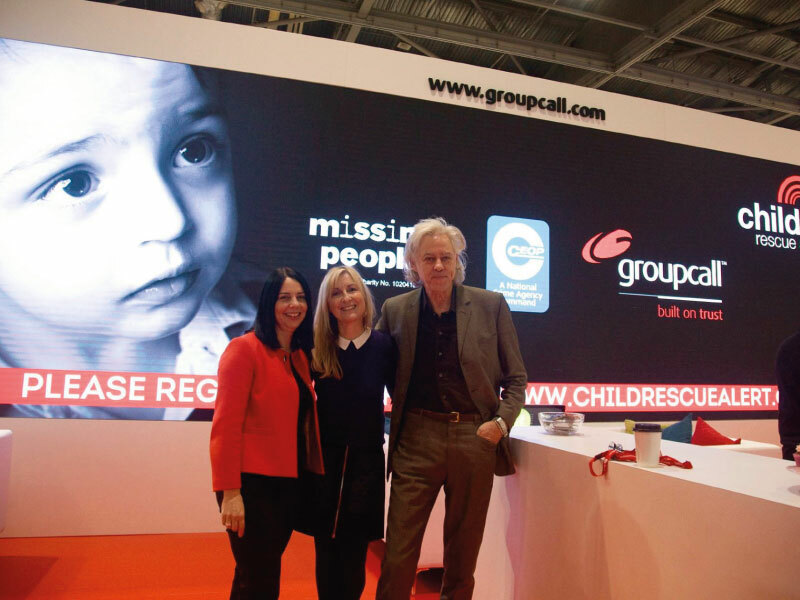 The screen was definitely a talking point within the hall with both visitors and the other exhibitors, and this was only magnified when Groupcall founding partner Sir Bob Geldoff and Fiona Philips arrived on to the stand to help raise awareness of the Missing People Charity & Groupcall’s Rescue Alert product. 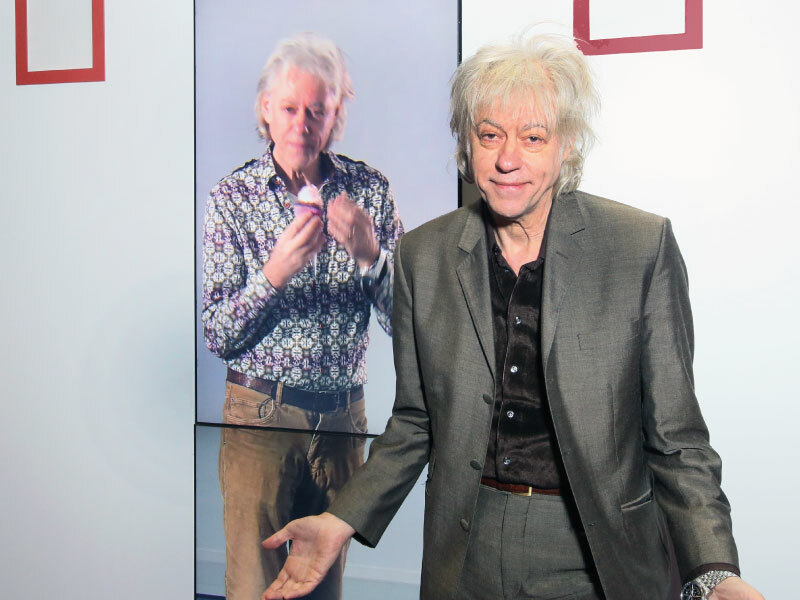 Imagine presented us with a design concept which was unlike anything we had seen before, and we loved it. 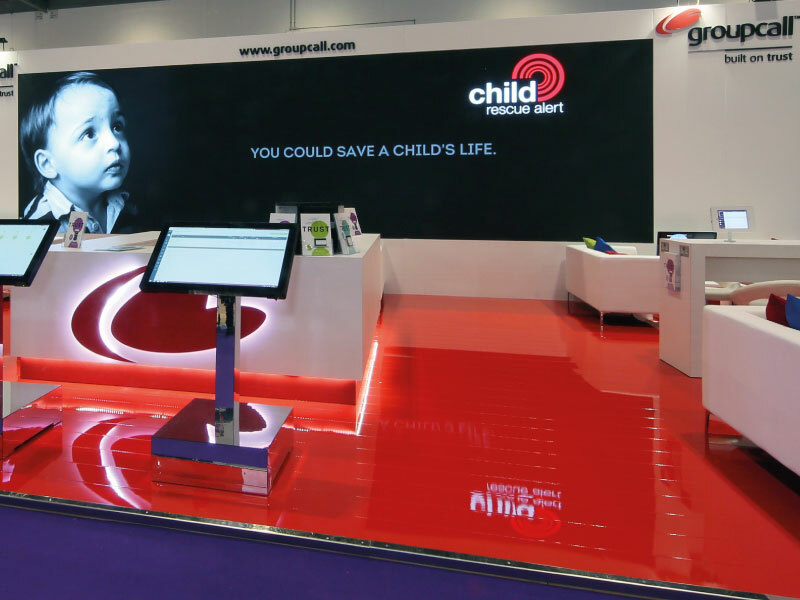 Adam and his team manage the complete process with a professional yet friendly attitude that is a pleasure to work with, so much so we have agreed to work with them at next year’s BETT show too!